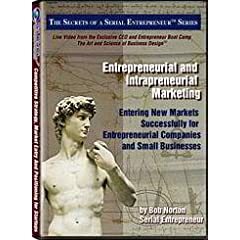 Find out how to carve out your niche and develop your Unique Selling Proposition (USP): how to avoid direct competition with larger companies and do better competitive intelligence and how to do market research and understand your market, competition, key success factors and your target customer far better. Today your market entry strategy MUST be very different than your long-term strategy and market position, plan and objectives. Traditional marketing executives need this crash course to survive in a small company environment because the rules have changed. What worked ten years ago will not work today. This collection of wisdom takes those changes into account. It’s guaranteed to improve your company’s sales, growth and profits radically. You will want to quickly implement dozens of ideas that will fine-tune your marketing focus and generate more results with less investment.